OPPOSITION National Democratic Congress (NDC) consultant Chishimba Kambwili has been arrested in Lusaka and bundled in a police vehicle to Luanshya, about 350 kilometres. Police nabbed the Roan PF member of parliament at police headquarters where he had gone to lodge a complaint against Copperbelt police commissioner Charity Katanga for ‘abusing her authority’ by insisting that he appears before police in Luanshya when he had requested a deferment due to court commitments in Lusaka. And Kamwili’s lawyers, Keith Mweemba and Gilbert Phiri said they did not know why their client had been arrested. Phiri said they do not know what he was arrested for. On Tuesday police in Luanshya had summon Kambwili to appear on Thursday at Luanshya central police for questioning. This is according to a call out served on Kambwili lawyers. 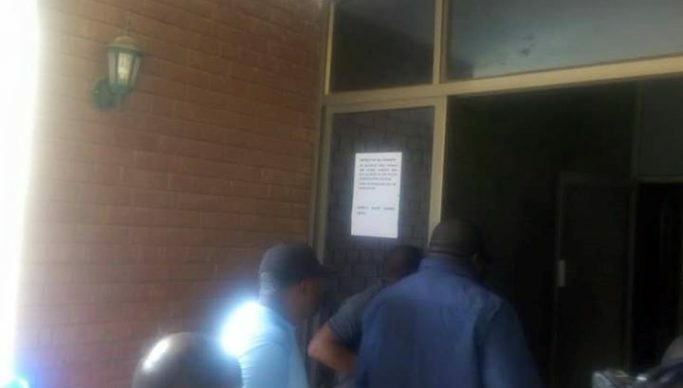 On Wednesday lawyers representing Kambwili had written to the police district criminal investigations officers at Luanshya district stating their unavailability of their client on Thursday as per summon due to counsel having prior engagements. And Copperbelt Police Commissioner Charity Katanga earlier in the morning warned that Kambwili would be arrested. Speaking to Hot FM this morning, Katanga said the police in Luanshya were eagerly waiting for Kambwili who is charged with unlawful assembly when he met Avic International workers who were complaining of poor conditions of service by the Chinese construction company. She said Kambwili would be forced to travel to Luanshya to answer to the charges. However, Kambwili said he would not travel to Luanshya, which is about 350 kilometres from Lusaka on the day as he had a court matter the following day in Lusaka. Katanga said the Copperbelt police had already mobilized to await the arrival of Kambwili in Luanshya. On Wednesday afternoon, Kambwili also disclosed that President Edgar Lungu had sneaked out of the country. He demanded full disclosure of the whereabouts of the head state as he was using taxpayers money.